Abstract Fiber now has Polwarth! This super-soft fiber has a devoted following and we think you’ll see why when you spin some up. Soft like merino, but a little easier to spin, with a distinct sheen. Heavenly! Polwarth. Polwarth in Abstract Fiber colors. Need we say more? Get yours online at AbstractFiber.com where shipping is free for orders over $100. The Purlescence Purl Girls know that the Knitmore Girls have listeners all over the world. We wish you all could join us in our family room for a cup of tea and a nice chat, but if you can't make it to us, you can bring a little bit of us home to you. Visit http://www.cafepress.com/Purlescence for shirts, mugs, and more! And new patterns are available on Ravelry for immediate download. Search for designers Sandi Luck and Nathania Apple for the latest designs. STITCHES South offers something for everyone. This 4-day event brings thousands together in Atlanta, GA for workshops, demonstrations, author signings, and door prizes. It showcases beautiful yarn, books, gadgets, patterns, & buttons in a market full of retailers from across the country. 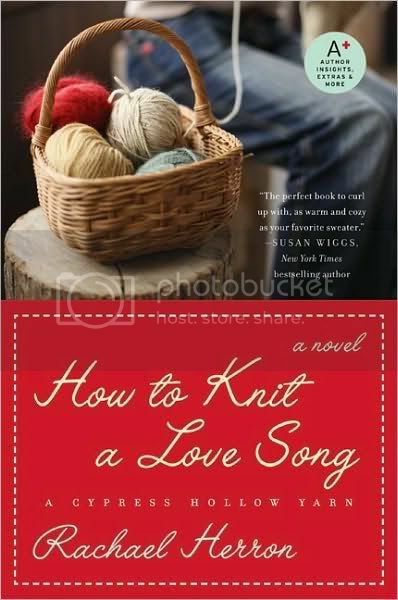 If it has to do with knitting, you will find it here. STITCHES South is open to the general public April 23rd-25th. For more information please join us online at http://KnittingUniverse.com/Events/ or call 1-800-237-7099. We prepare for our upcoming travel! Jasmin and Gigi are trying to finish their Mondo Cable KAL sweaters to wear at Maryland Sheep & Wool. Jasmin compares the Abstract Fiber Miro to the Cascade Quatro. Gigi is working on her Classic Slant Cardigan, and has finished the main part of the sleeves, leaving only the sleeve caps. Jasmin is working on her second handspun Crocodile Walk socks. Gigi has finished a pair of Upstream Socks (from Cat Bordhi's New Pathways sock book) out of Cherry Tree Hill (color "Indian Summer"). Jasmin declares that she needs to knit more boleros. Jasmin launders her Ariann, which did wonders for the yarn (Dream in Color Classy). Jasmin has a deadline for the Boo sweater. Gigi gets a finishing high by seaming up Miss Kalendar's Ribby Cardi. - Maryland Sheep & Wool Festival: 5/1-2. Meet and greet to be announced. - Spinning at the Retzlaff Winery. Get your submissions in for the February UFO finish-a-long by 4/3. Winners will be announced in Episode 95. We discuss joining yarn, the Russian join, spit splicing, non-felting fibers, ribbon yarn, where to join, and - GASP! - knots. We review 60 Quick Knits . Jasmin talks about spinning the Crown Mountain Farms Polwarth in "Nirvana", and discusses the breed. The Purlescence Purl Girls know that the Knitmore Girls have listeners all over the world. We wish you all could join us in our family room for a cup of tea and a nice chat, but if you can't make it to us, you can bring a little bit of us home to you. Visit our Cafepress store for shirts, mugs, and more! And new patterns are available on Ravelry for immediate download. Search for designers Sandi Luck and Nathania Apple for the latest designs. Gigi is plugging along on her Mondo Cable Pulli, which she has modified slightly. 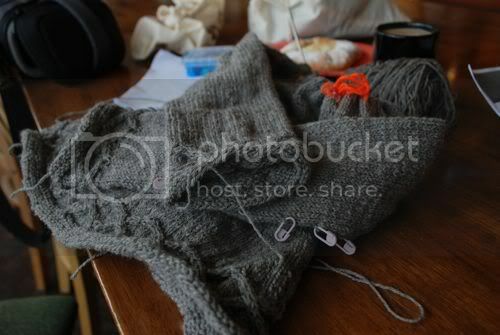 Jasmin is making progress on her Mondo Cable Cardi. Jasmin is tempted and inspired by all things. Gigi talks about assembling Miss Kalendar's Ribbi Cardi with single crochet. Gigi's Olympic Sweater is headed for the UFO bin. We discuss the Spring 2010 issue of Knitter's Magazine. Gigi and Jasmin both like the Electric Entrelac Sweater. Jasmin also really liked the Diamonds and Pearls shawl, and the Sun Dappled Stole. Gigi liked the Ivory and Mortar Jacket. Jasmin also liked the Pink Ginger cardigan. The end date for the February UFO finish-a-long is April 3rd, and the winners will be announced in Episode 95. We discuss sizing, fit, and ease. Jasmin is still spinning the Cormo for her Tempest sweater. (Photographed above.) Jasmin talks about spinning every day (for 15 minutes) for sanity. Spring is just around the corner and we here at Purlescence Yarns have turned our thoughts to lighter weight yarns. We just got a new shipment of the Chic Knits Sandrine pattern by Bonne Marie Burns. Knit in spring-friendly DK weight yarns, it's a quick and easy knit, just perfect for your transitional wardrobe. Cascade Yarns Cash Vero DK is a beautiful choice with a broad palette of delectable colors, 20% through March 22. Don't forget to mention the Knitmore Girls for a free logo ChicoBag with your mail order or in store purchase of $50 or more! STITCHES South offers something for everyone. This 4-day event brings thousands together in Atlanta, GA for workshops, demonstrations, author signings, and door prizes. It showcases beautiful yarn, books, gadgets, patterns, & buttons in a market full of retailers from across the country. If it has to do with knitting, you will find it here. STITCHES South is open to the general public April 23th-25th. For more information please join us online at http://KnittingUniverse.com/Events/ or call 1-800-237-7099. Gigi is working on her Classic Slant Cardigan (by Deborah Newton), which is the color of red velvet cake. Jasmin is plugging along on her Mondo Cable Cardi. We also mention the Kindle, and the Kindle stand. 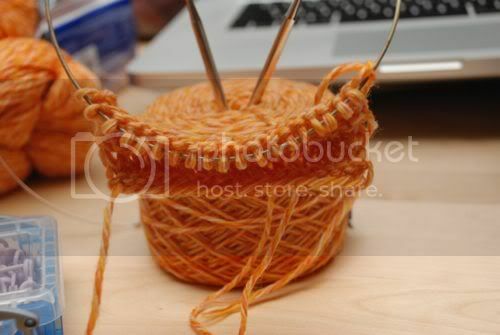 We discuss the merits of a yarn marker vs a "clippy" stitch marker. Gigi is working on her Color Your Own sweater, and we discuss dart placement at length. We have an app in the iTunes store! February Finish-a-long contest will end April 3rd, and the winners will be announced in Episode 95. We will be attending the Maryland Sheep and Wool festival! Gigi has some missteps this week. Her Mondo Cable Pulli hits a snag. Gigi find the issue with her Ellina shawl. 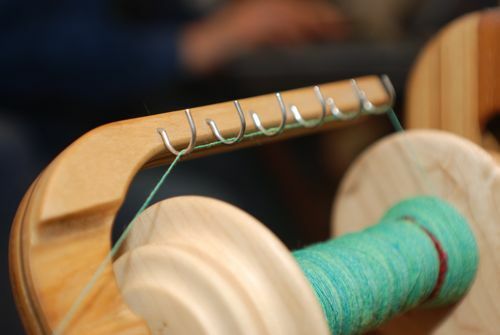 Jasmin discusses spinning Shetland, specifically the Shetland Top from Crown Mountain Farms"Fiber of the Month" club. Jasmin refers to "In Sheep's Clothing" and "The Knitter's Book of Wool". 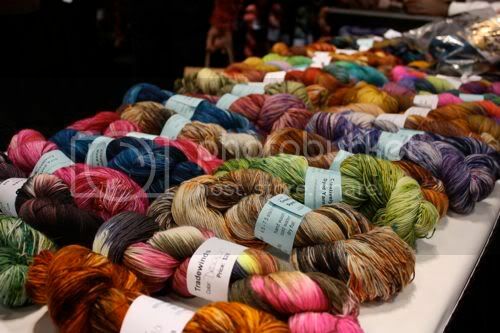 Stitches west was a big success thanks to all the Knitmore Girls fans who came to visit. We'd love it if you would share photos of your projects in our Ravelry group, Aaabsolutely Abstract Fiber. We will be back in California in April for CNCH. Meanwhile we have just received a big supply of Picasso, our baby alpaca DK weight yarn. Super soft and a little fuzzy, Picasso takes dye beautifully. 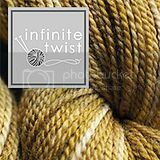 Check it out online at AbstractFiber.com where skeins have no knots and shipping is free for orders over $100 in the US. From now until midnight March 5, 2010, use the code "MCcardi" or "MCpulli" in the Chic Knits shopping cart when purchasing your Mondo Cable Cardi or Pulli pattern to get a 20% discount on your purchase! Rock the needles with the Mondo Cable KAL! Show notes will be posted 3/3. In lieu of regular segments, we do our Stitches West recap! Jasmin cuts it close, but has finished her Seneca Sweater! Gigi mentions the platinum medal incident, and that she hasn't met her goal. We launch the Mondo Cable KAL! Jasmin went stashdiving, and will be knitting her Mondo Cable Cardi out of Cascade Quatro (in orange). Gigi will be (surprisingly) knitting her Mondo Cable Pulli out of something Red. Gigi has finished her dishcloth baby blanket AND has assembled Boo's Sweater. Gigi went on a blocking spree before Stitches. She blocked her Fichu, Swallowtail shawl, Icarus, and Peacock Feathers Shawl. Jasmin is plugging away at her handspun Crocodile Walk socks. We did interviews, and hung out with Dr. Gemma (from the CogKNITive Podcast). The motto of the weekend was "We can sleep when we're dead." We wandered through the market preview, then went home and stuffed goodie bags! Meet'n'greet in the Abstract Fiber booth! Interviews! The folks at XRX were incredibly fantastic to work with. Our intrepid reporter, Laura is doing a Director's Cut episode covering the fashion show. 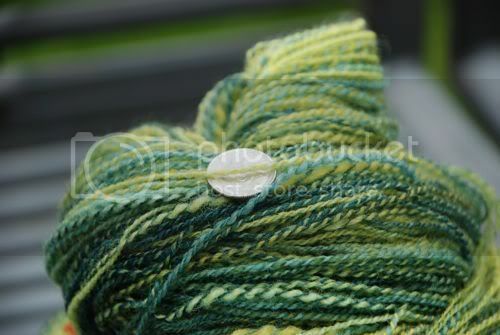 Gigi buys lace yarn from Skaska, and some leafy colored worsted from the Royal Hare to knit the Deciduous wrap with. Jasmin bought some gorgeous sock yarn from Femme Fatale fibers/ Little Red Bicycle, and Andrew bought sock yarn from Creatively Dyed Yarns. Jasmin bought the "Windy Valley Muskox Cabled Cowl"- very fashion forward. Jasmin bought an un-kit, in red, and a roll of knitting graph paper. Jasmin gets a tip on how to un-bend her CocoKnits knitter's blocks. We sit down with Maggie Jackson (author of Maggie's Ireland). Meet'n'greet in the Purlescence booth! We chatted with Anna Zilboorg! We get a wicked great deal on two Namaste bags.